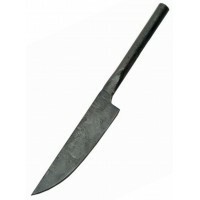 This 7 1/2 inch black Boline is perfect for carving wax, cutting herbs and other necessary work of witchcraft. 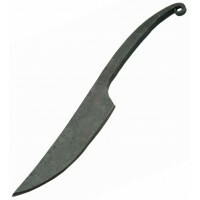 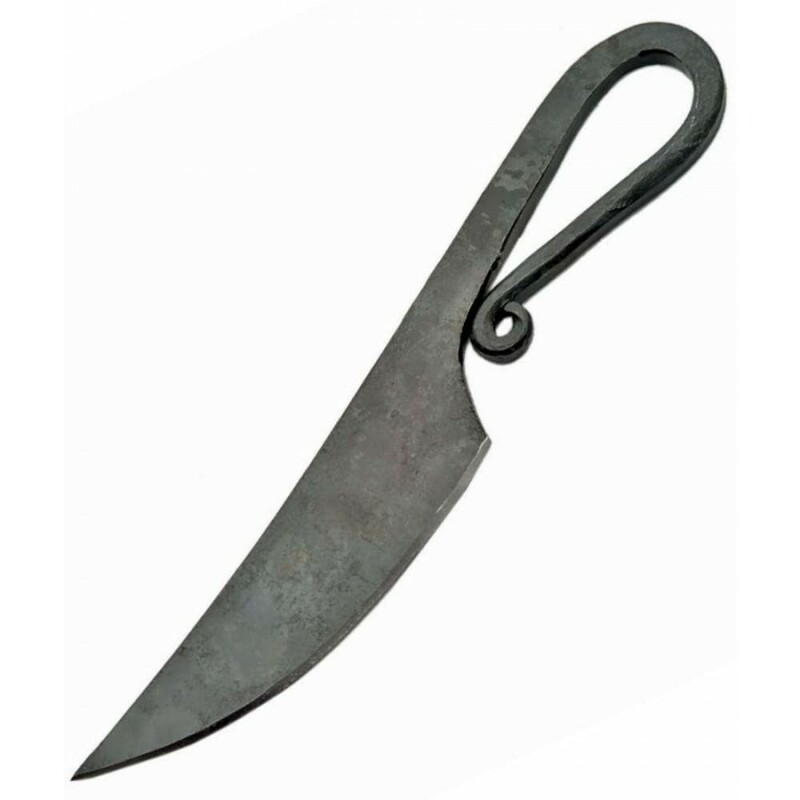 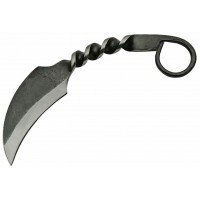 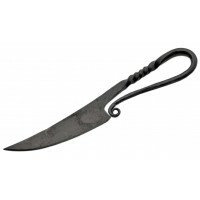 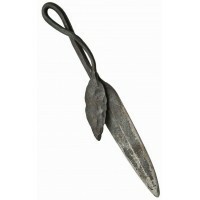 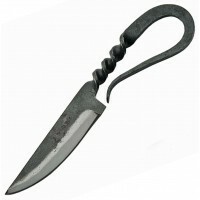 Hand forged black carbon steel boline knife is a stunning addition to your altar or knife collection with a looped iron handle terminating in a loop. 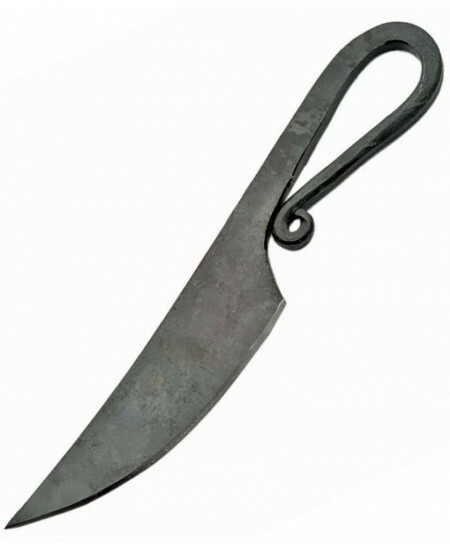 Measuring 7.5 inches long overall, this single edged blade (ships unsharpened) is traditionally a boline or working knife, though could be used as an athame. Item Number: SZ-HS-7865 | Approximate Size (Inches): 1.00 wide x 0.35 deep x 7.50 high | Approximate Shipping Weight: 0.50 lbs.